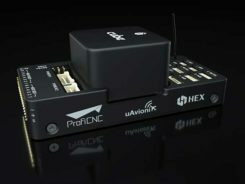 Reyax Technology, a telematics tracking systems provider for the automotive industry, has developed an industrial high-integration 3G GNSS tracking platform, the Reyax RY277AI, which is fully based on technology from u-blox. “Our vehicle tracking platforms are dependent on highly accurate position data to deliver the performance crucial to meet the demands of our customers. u-blox’s highly reliable products as well as a flawless technical support were convincing,” said Ritchie Chang, general manager of Reyax Technology. “u blox’s MAX M8C positioning module and SARA U270 cellular module were the right choice for this new platform,” he added. RY277AI is designed for 3G telematics applications, in particular vehicle tracking, fleet management and insurance box. 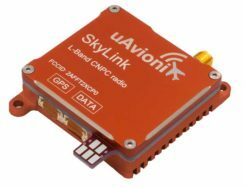 With both MAX-M8C and SARA U270 modules embedded, it also benefits from two of u blox’s GNSS and wireless technology services. With AssistNow, Assisted GNSS (A-GNSS) accelerates the calculation of a position by delivering satellite data to the GNSS receiver via wireless networks or the Internet, also ensuring faster TTFF (time to first fix). CellLocate, another of u-blox’s trademarked technologies, matches cellular positioning data with previously successful GNSS fixes in shielded environments such as indoors. This is especially useful in case of jammed GNSS signals and in M2M applications. Additionally, u-blox’s nested design enables hosting of next-generation wireless and positioning modules on the same PCB. “We are excited about this co-operation with Reyax Technology, the recognized leader in telematics tracking systems. Reyax-based solutions make full use of u-blox’s advanced positioning and cellular technologies to enhance vehicle tracking. This solution is an answer to the growing encouragements by the Taiwanese government to promote IoT/M2M applications and whose vision we share.” explained Ming Chiang, country manager of u-blox Taiwan. RY277AI comes in an LGA package, with a dimension of 70mm x 30mm x 7mm, and an operating temperature of -40～+85° C.